Katherine Maddock-Lyon has won the Lawn Tennis Association’s (LTA) Aegon Coach of the Month award for her great work managing the performance programme at David Lloyd Cardiff. Through her dedication the programme has developed many players who have gone on to represent South Wales and Wales. Katherine, who gives up a lot of her own time to take young players on tour and to events, has also initiated and run the Mini Red World Circuit and Girls’ camps to provide Talent ID opportunities for South Wales. Katherine was in good company in the latest LTA awards, for January – player of the month was Andy Murray. 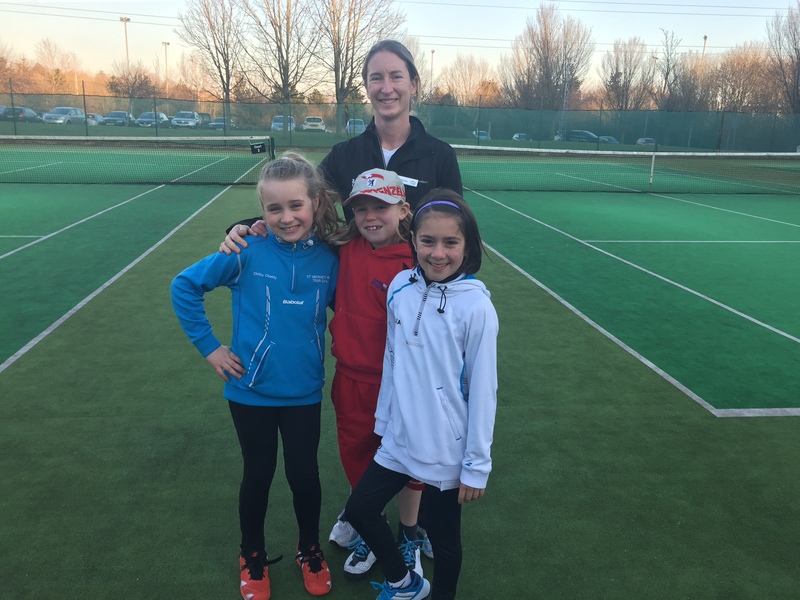 Coach of the month – Katherine Maddock Lyon with some of the 9-and-under players she coaches at David Lloyd Cardiff. On receiving the award, Katherine said: “It is a huge honour. I would also like to thank Tennis Wales for their ongoing support and guidance. Recognition of the hard work I’ve put in is greatly appreciated. “I love the variety the job offers, running a circuit of tournaments for Mini Red players, working with National level junior players and organising internal social events as part of our thriving adult programme. Peter Drew, chief executive of Tennis Wales, added: “This is a great achievement for Katherine, and recognition of her hard work, skill and dedication, which has made the programme at David Lloyd Cardiff such a success.